Hunting For The Perfect Jacket? New for autumn from The Spanish Boot Company is this gorgeous Limited Edition Egality Hunt Scene Velvet Jacket, which combines a vintage inspired faded print of an antiquated hunting scene with exquisite tailoring. Featuring a strong military tailored silhouette, this jacket features two parades of buttons to the front, a high neru collar, cut away front and shaped cuffs. 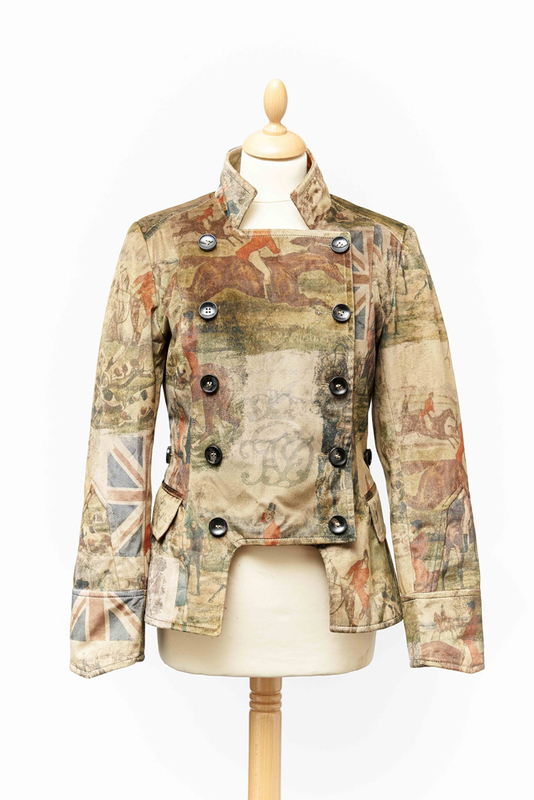 Lined with a retro Union Jack flag print, which is also echoed through the jacket’s beautiful print, this jacket is just what you need to get ahead of the field this season.